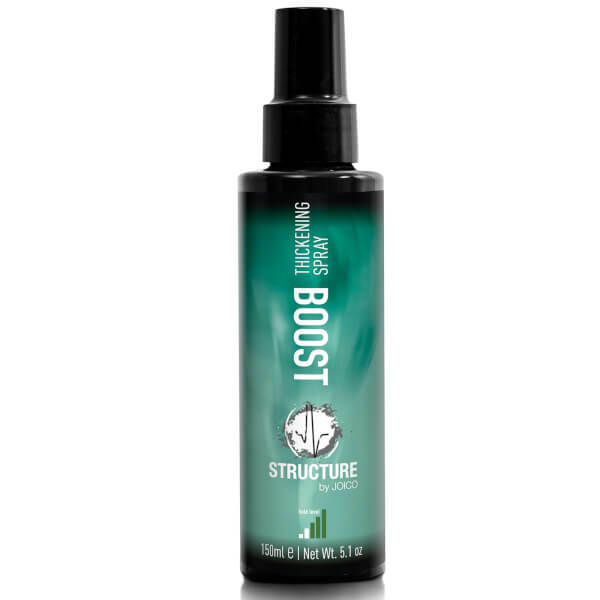 Joico Structure Boost Thickening Spray is a body-building leave-in treatment that creates the appearance of fullness in fine hair. Encouraging a boost of body, the lightweight thickening spray adds lasting body to lack-lustre hair, creating the illusion of thicker, fuller tresses with a medium shine finish. Buildable at the roots, it won't dry hair out and is infused with a luscious fragrance. Ideal for fine to medium hair of all lengths. For all over body: Apply to damp hair by spraying from a 15cm distance. Focus on the roots. Blow dry and style as desired. Feel free to use more if your hair isn’t quite voluminous enough yet.